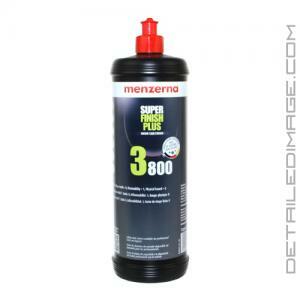 Menzerna's Super Finish Plus 3800 was formerly known as the Micro Polish SF 4500 but a new name and label have been brought in. Its effective on the newer and harder ceramic clear coats, but it also works extremely well on traditional clear coats. This outstanding nano polish was designed to finish down your paint for an ultra smooth finish at the microscopic level. You can use this product after more aggressive polishing to help remove any surface haze, light imperfections, etc. It is also totally safe to use on brand new OEM paint. It uses some of the smallest and smoothest cutting particles ever put in a polish for a remarkably clear finish. This process of burnishing or jeweling the paint will provide the greatest optical clarity possible in the clear coat, which is how you get the deepest reflection possible. Apply this polish with a buffer and a finishing pad (crimson, blue or black Lake Country Pad) for best results. 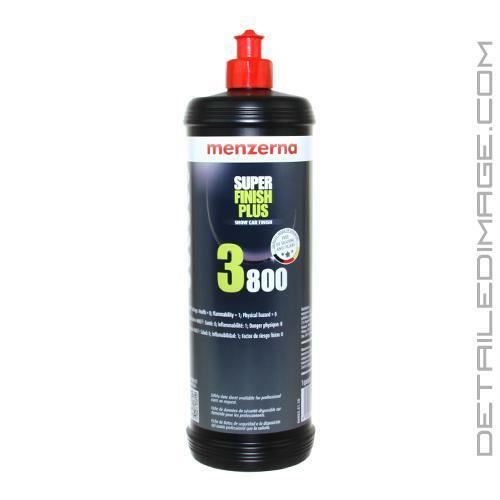 Use the Menzerna's Super Finish Plus 3800 for amazing results so your paint is truly clean and vibrant and then apply your favorite glaze, sealant and wax afterward. I will never finish another black car without using this stuff! Simply put, it's super easy to work with, easy on, easy off. Took out all the swirls and light scratches from a black f 150. Looks great. Excellent polish, super fine @4500 grit, used it on a brand new Dodge Challenger in leu of clay bar. Will not compromise the factory clear coat gloss and makes the surface nice and smooth without having to clay bar. It also removes any fine micro lines and water spots creating a perfect surface for any sealants, polymers or waxes. Just make sure to remove residue with damp soft towel then follow with a new dampened towel with some alcohol.